One of the recent new model announcement, that I consider to be among those really interesting was made by IBG. 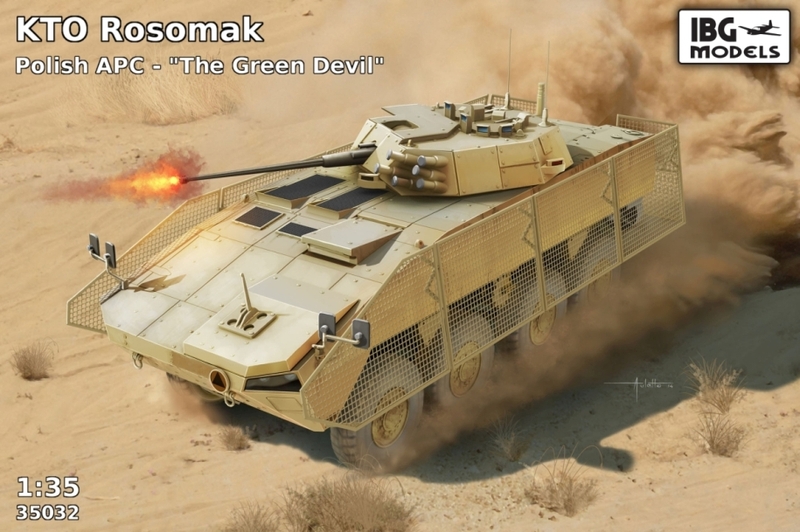 They are planning to release model of Polish armored vehicle Rosomak in 1/35 plastic. While this vehicle is not that well known compared to their counterparts from other western armies, its operational history is at least as rich. The vehicle is currently operated by Polish army, but was in large numbers deployed in Afghanistan. Today I have stumbled upon some nice shots of this vehicle on the facebook page of Polish Defence ministry, which apparently also have its “Combat camera” site. You can check it out here. There are number of great shots on this page and you’ll be surprised by the variety of equipment used by the Polish Army.